Join us for dinner and drinks with our friends at Firemans BBQ Food Truck! 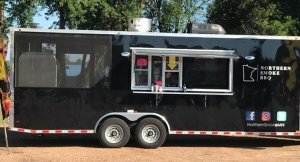 Northern Smoke BBQ Food Truck is back. Come out and enjoy some of their amazing dishes! Our friends from Gouda Q Food Truck will be here ready to feed you! 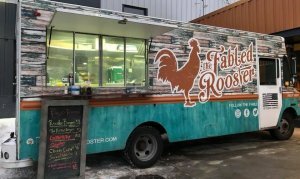 The Fabled Rooster Food Truck will be at the Taproom. Join us for dinner and some beers! 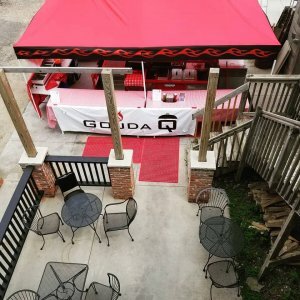 Gouda Q Food Truck wants to have you join them for dinner…pairs well with beers! 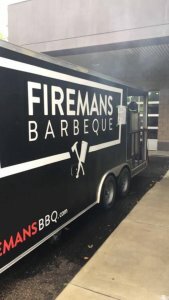 Our friends from Firemans BBQ Food Truck will be at the taproom ready to feed you. Come on out for a few beers and some tasty BBQ! Gouda Q Food Truck is back! Excellent BBQ that goes well with BEER!